Designed, printed and made in Great Britain. 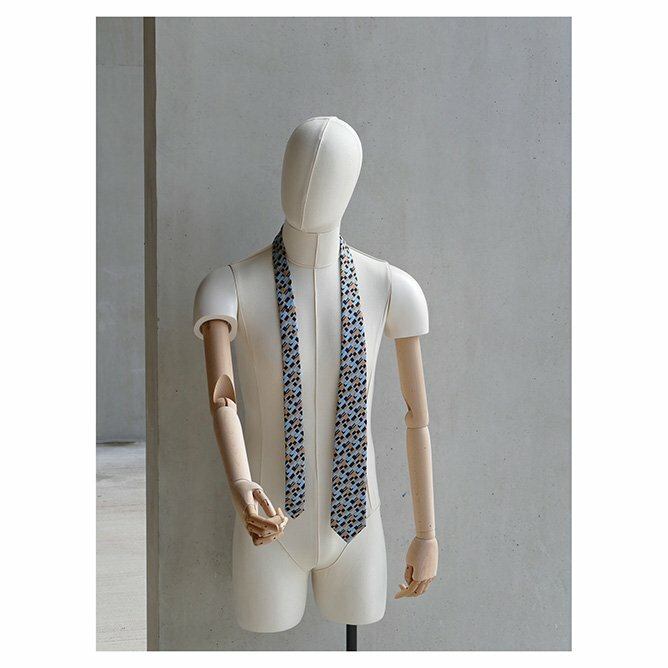 A silk twill tie in ‘Freedom’ print. Freedom was inspired by Freedom Tower, Miami built in 1925 and designed by architects Schultze and Weaver. The building was originally built as a printing facility for the Miami News but later became an administrative centre for Cuban refugees in the 1960’s. It is is now a prominent museum and cultural centre. 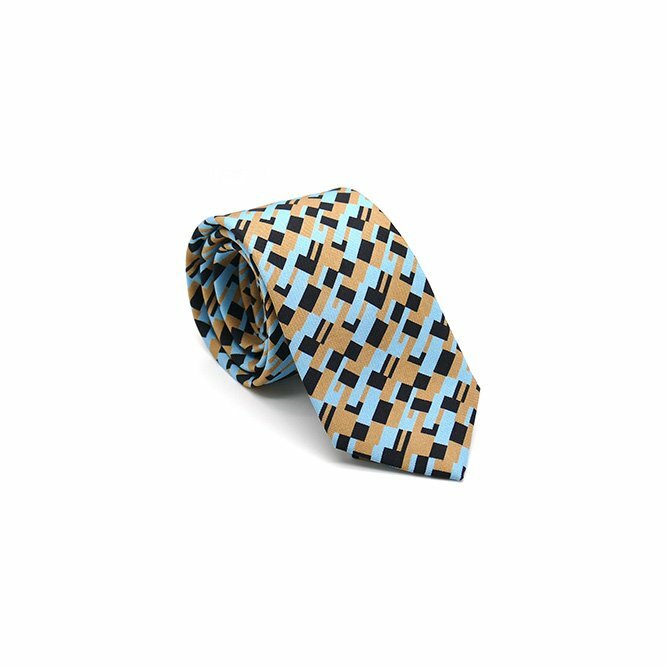 The printing facility appealed as the tie is printed onto silk, the design has a slight retro Cuban vibe to it and great to think of a building which has successfully reinvented itself throughout history as ties have done too. The colour palette is Biscayne Sea blue, bronzed sand to reflect the tower’s render and nearby beach and the deep brown of Cuban cigars. The linear shape and the rectangles represent the many windows of the tall tower. Standard 152 cm (60 inch) length. 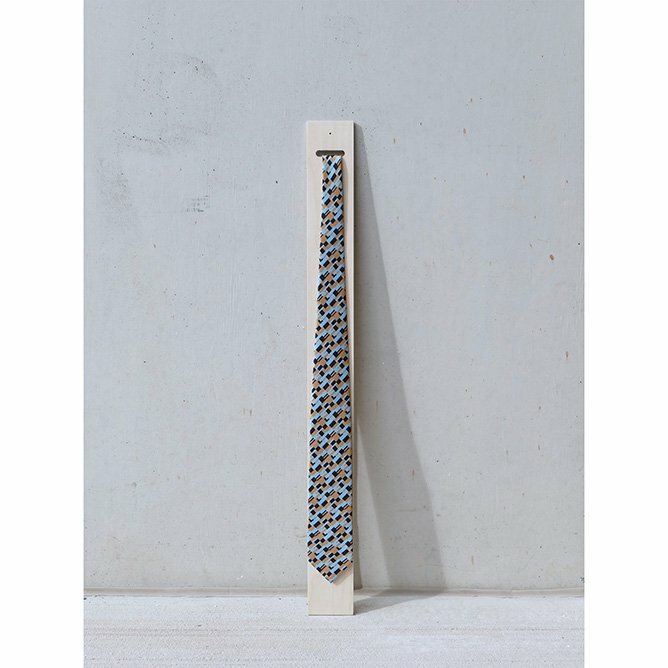 Self tipped and hand finished – with an unexpected colour bar tack on the reverse, in this case a sea blue. Designed, printed and stitched in Great Britain. "her designs have a feeling of rhythm and movement through careful placement and interaction of her chosen colour palette. She is inspired by her experiences of urban and rural landscape and also from arts and poetry"